To the naked eye, it looks more like a hotel built on a hotel built on a hotel, but the unique and very quirky architecture are only enhanced by the almost technicolor look of the outside. 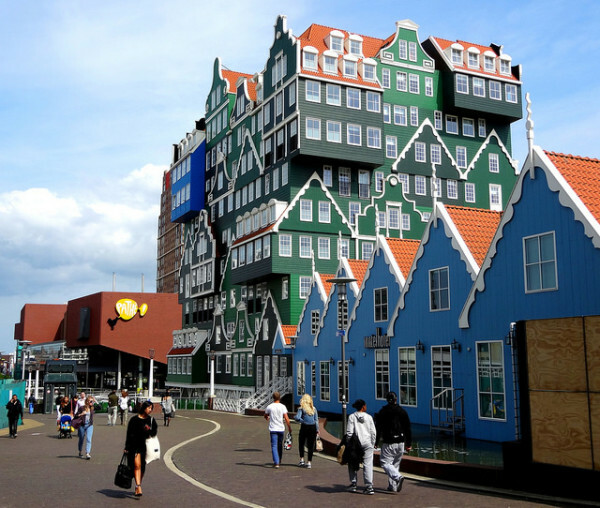 It’s location is only about a 12-minute drive outside Amsterdam. Look closely and you see the homage to the various traditional house designs that are common to the area.